Japan’s JTEKT Corporation is acquiring additional 51.12 per cent stake for around Rs 853 crore in Sona Koyo Steering Systems Ltd (SKSSL). The transaction is expected to close by the first quarter of FY 2017–18. JTEKT is a limited liability listed company under the laws of Japan. JTEKT is listed on the Nagoya Stock Exchange and Tokyo Stock Exchange in Japan. The American Depository Receipts of the acquirer are traded on Over the Counter (OTC) Exchange in the United States. The company focuses on four major product technologies: bearings, steering systems, driveline components and machine tools. JTEKT has its set up and manufacturing plants in Japan and other countries like the US, China, Thailand and Brazil. It has also started doing investments in India and France. SKSSL is a manufacturer of steering systems in the passenger car and utility vehicle market in India, catering to passenger cars, utility vehicles and light commercial vehicles. SKSSL has operations across India through its 7 plants (2 plants in Gurgaon, 3 plants in Dharuhera, 1 plant in Chennai and 1 in Sanand). The product portfolio of the company includes high performance rack and pinion manual steering gear, hydraulic power steering system, recirculating ball screw assembly, column type electric power steering for passenger vehicle, tilt & telescopic steering column, intermediate shaft, advanced column & telescopic Intermediate shaft for commercial vehicles, electric power assist module (EPAM) for off-highway and farm sector, rear axle assy and driveline products. The customers of the SKSSL include major vehicle manufactures in India and outside India also. It supplies steering assemblies to Maruti Suzuki and several global automakers, including Toyota, Tata Motors, Mahindra & Mahindra, Honda, Renault-Nissan and Ford. The equity shares of the SKSSL are listed on the BSE and NSE Stock Exchanges and are frequently traded in terms of regulation 2(1)(j) of the SEBI (SAST) Regulations. Pre-transaction, acquirer holds 20.10% of total shareholding of the target company. JTEKT has a joint venture, JSAI (JTEKT Sona Automotive India Limited) with the SKSSL wherein the acquirer holds 51% stake with a business objective of manufacturing column type electric power steering (C-EPS) systems. JTEKT and its group entities export or supply certain parts/raw material to the SKSSL and its subsidiaries. Sona Autocomp Holdings Limited (SAHL) holds 25.12% of total shareholding in SKSSL as on December 31, 2016. SAHL will sell its 25.12% stake in SKSSL at a price of Rs 84 per share aggregating to Rs 419.28 crore to JTEKT Corporation for the consideration to be received in cash. After that, JTEKT will initiate the public offer to acquire further 26% stake in SKSSL as required under the takeover code regulations. JTEKT will invest further up to Rs 434.05 crore to fulfill its obligations if enough number of shares are offered. Kapur and Sona Group nominee directors, Rani Kapur and Kiran Deshmukh, will step down from the Board of SKSSL upon closure of the transaction. Post offer, if both the transactions will be successful then JTEKT will become the holding company of SKSSL. As per the statement given by the MD Sanjay Kapur of Sona Group, by selling 25.12% stake in SAHL, company wants to focus only on forging business in case of SonaAutocomp Holdings Ltd.
Sona Group is planning to invest Rs 300-400 crore over the next five years to grow revenues from forging venture in India to Rs 2000 crore. (Currently, the revenue is Rs 500 crore). Thus, the consideration received towards selling 25.12% stake (Rs 419 crore) could be used for this purpose. If operation wise sales are considered, JTEKT earns larger share of revenue from steering and bearing business which collectively comes from JTEKT and Sona Koyo. 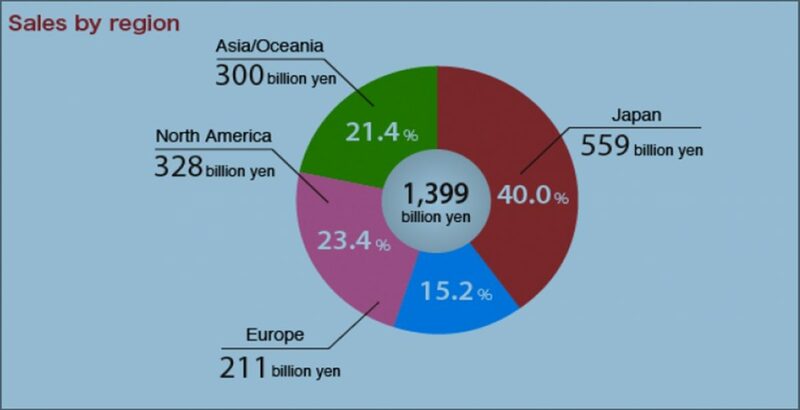 Also, if region wise turnover is taken, highest share of almost 40% comes from Japan itself, after that 21.40% of sales is made in Asia/ Oceania region. Thus, by way of acquiring the stake, JTEKT will plan for further expansion in Asia with strong foundation in two different countries. Developed countries have showed signs of growth stagnation in last two years, as there is steady recovery maintained in the United States plant of JTEKT. Strategic use of management resources. Organize sales expansion framework for industrial machinery/marketed areas. 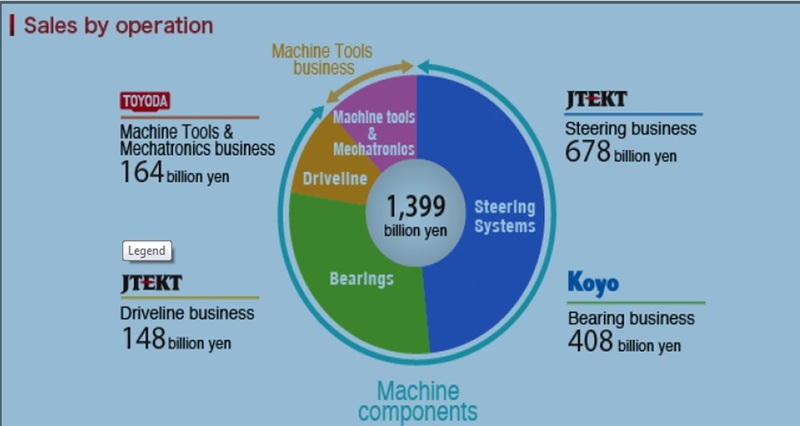 All these events indicate the JTEKT’s obvious plans to make growth globally in Sale of Steering bearing products in Asian Countries including Developing countries like India where there is further scope for improvement in economies of scale with low production cost as compared to that of US Plant. The transaction marks second split between long-term Indian and Japanese partners in the automotive segment after Hero Group and Honda, the world’s largest manufacturer of two wheelers, parted ways in 2010. But here the Sona Group will be not a competitor to the Japanese group as it will focus on forging business for next growth plan. Whereas JTEKT wants to expand its footprint in India by having subsidiary so that it can introduce latest technology products gradually and support global customers who have entered India and serve local customers by widening its arm in India to capture pie of growing Indian economy.